In anaesthetics, we had a patient who had had his induction dose of proposal, suxemethonium, and fentanyl. We intubated him reasonably promptly, and as the anaesthetic nurse I set out to help the scout nurse with positioning the patient. The anaesthetist answered his telephone. The patient didn’t like us moving him. Pressure alarms went off on the ventilator…the whole thing. The anaesthetist gave more propofol, we positioned the patient, the surgeon started the procedure…the patient jumped, the anaesthetist rapidly sedated the patient with more propofol and told the surgeon “it was OK, they’ve had some midazolam”. Except the patient hadn’t yet been given any. Hence the tip: MIdazolam does not work until it has been given. Midazolam is wonderful drug in for use in critical care. In small doses, it is relatively short acting. It is painlessly administered intranasally (equivalent dosage for I.V. – good for kiddies) and usable IV or via deep I.M. (obviously not as painlessly). It has a small number of incompatibilities in solutions and is good for procedural sedation, long term ICU sedation and as a second line treatment for status epilepticus. It’s not perfect – it can cause respiratory depression or arrest and should be used with caution with intoxicated patients – it is metabolised in the liver via CYP3A4 (of the CYP450 family of oxidising enzymes) so drunk patients may have a prolonged duration of action. This is NOT an administration guide for a medication. Clinicians should use their own judgement and adhere to relevant policies. Magill Forceps Are Supposed to Be Bent. 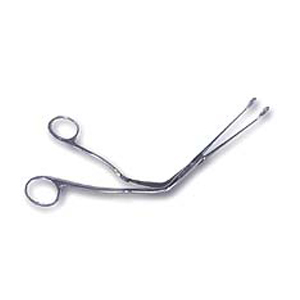 Magill Forceps are a useful tool will a many and varied uses, sort of like a one-trick pocket knife. Primarily designed for assisting the movement of the Endotracheal or Nasotracheal tube into the chords during laryngoscopy, they come in different sizes for different sized patients. One hospital I worked in kept a couple in the draw of the anaesthetic machine, a small one and an adult one (we never used the two for the intended purpose unless it was an emergency). We’d use them for extending our reach for things, passing trachy tape under a large patient’s head after intubation, for instance. One day, in a complete fluke (honest) the paediatric one got “straightened” in the closure of the draw. Now it was completely useless for its intended purpose and always getting in the way. Ivan Magill was an Irishman and prolific inventor whose assistant (see who gets the credit!?) invented the Endotracheal Tube and what we know as the “Patient Piece” (in ICU) or “Liquorice Stick” (in Anaesthetics). Magill invented the connector that fits between, amongst many other things, including his “bent” forceps. He was an Anaesthetist in the RAMC during WW1 and worked after the war with one of the other great medical inventors, Captain Gillies (a WW1 surgeon who also has a forcep to his name). Thanks to CoCo for going on holiday.